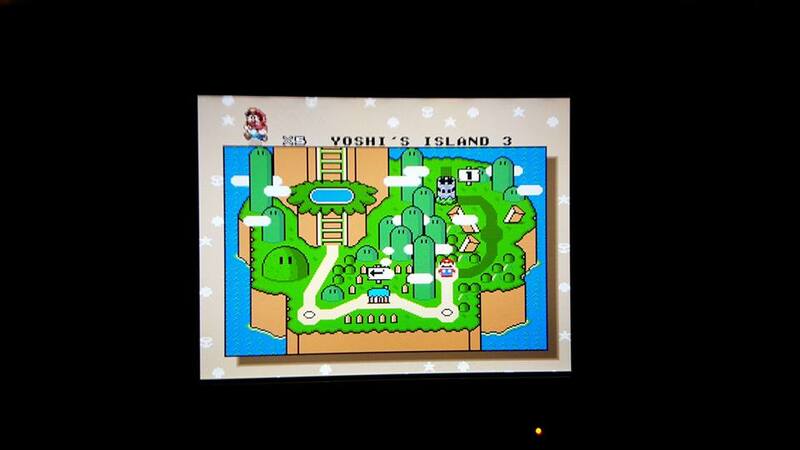 It may come as a shock that as someone who played his first video game on the NES I’ve never played Super Mario World. Not once. 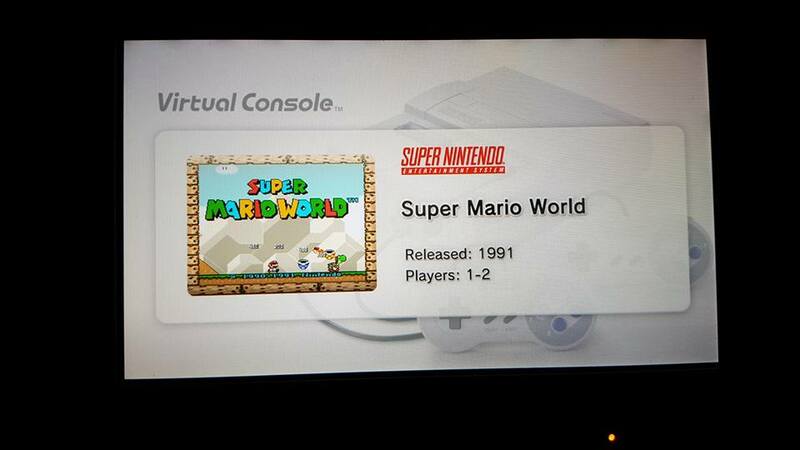 Not even on an emulator. The game that is known by many as one of the best games in the Mario series (even still today), never ended up in my hands through the early 90’s. After the NES I became a Genesis gamer, where you could play more mature games such as the unedited Mortal Kombat or Zero Tolerance. Although I enjoyed Super Mario Bros. on the NES, I was never very good at it (I’m still not). Super Mario Bros. 2 and 3 mostly passed me by as well, but at least I can say I’ve played them. I love the music and look of the third game, however I’ve never been able to make it past the second world. I’d always get frustrated and quit for good, never to pick up the controller again. My frustrating experiences with the Super Mario Bros. series led me to mostly ignore the series, at least up until the release of Mario 64 (which I also was, and am, terrible at). 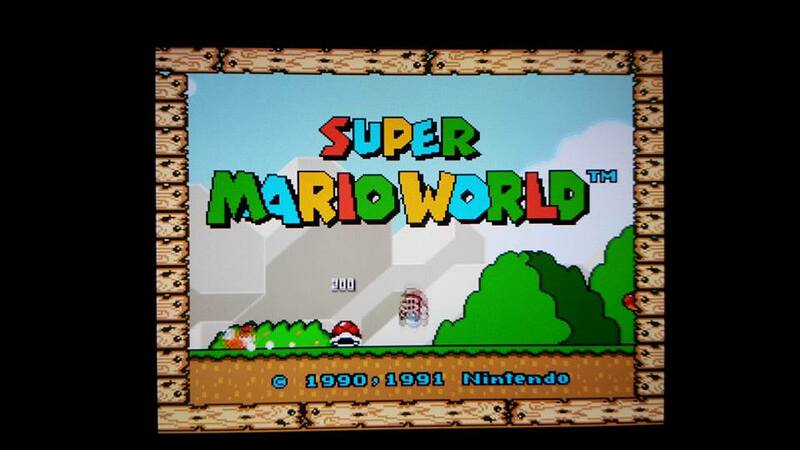 I’d often hear people express their love for the Super Nintendo’s Super Mario World, but I never really wanted to try it out as I knew I’d just get mad at it. However, I started to get a taste of Mario World via the Wii U’s Super Mario Maker. I rode Yoshi for the first time, and also experienced the game’s joyful music for the first time. My time with Mario Maker got me interested in checking out World, so tonight I bought it on the Wii U. The $7.99 price tag on the Virtual Console seemed a little steep for a 25 year old game, especially when much newer games sell for less than $5 on Steam, but I decided experiencing it on a Nintendo console would be better than an emulated experience. When I first booted up Super Mario World, I felt already familiar with the world, thanks to Super Mario Maker. In fact, for awhile I kept expecting to see the evil red x’s that mark a player’s death in Mario Maker to pop up on the screen each time I died an embarrassing death. The hour I spent with Mario World so far was filled with numerous frustrating deaths, as always seems to happen when I pick up a Mario game. I’d jump into the same enemy over and over again, or I’d fall to my death trying to avoid an incoming enemy. Once I got a handle on the controls I didn’t have much trouble completing Yoshi’s Island, however Donut Plains was another story. Much like level 2-1 in Super Mario Bros. 3, Donut Plains 1 almost made me quit the game for good before I’d ever made much progress. I kept dying over and over again at the hands of the Super Koopas. In fact the very first one you encounter in the level killed me at least 7 times as I tried to get the cape feather. I eventually gave up on getting the cape and tried to storm through the level, only to meet my fate at the hands of Chargin’ Chuck and his obnoxious baseballs. It took a frustrating 30 minutes to finish Donut Plains 1 (and two continues), but eventually I managed it. At this point I had to turn the Wii U off before my frustration and anger at the game got any worse. I’m dreading losing all of my lives and having to play through Donut Plains 1 again at some point. 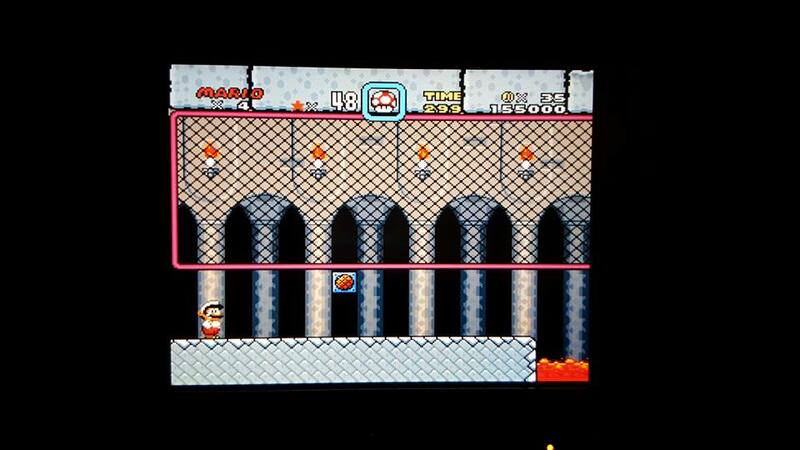 I’m looking forward to experiencing more of Super Mario World, yet at the same time I’m afraid of the challenges ahead. Hopefully I can make it through Mario World with my Wii U gamepad intact! 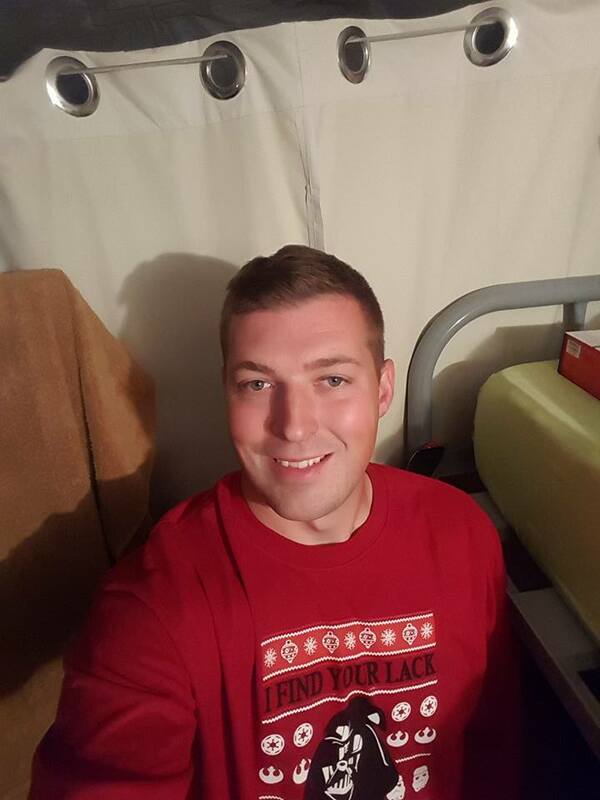 I was able to see Star Wars: The Force Awakens last on base last night thanks to a partnership between AAFES and Disney, and I couldn’t have been more excited. Many of us stayed up hours after a long day of work to see Episode VII, and it was absolutely amazing! Leading up to the release of The Force Awakens I deliberately avoided most Star Wars news and reviews so that it could be as fresh an experience as possible. I knew nothing about the film other than the tidbits of information that could be gleaned from the trailers. I fully expected the appearances of Han Solo and Chewbacca to be nothing more than a cameo, so I was delightfully surprised to find they play a major role in the film. I was also glad to find that many other iconic Star Wars characters make appearances throughout the film, and it seems as if they’ll be important players throughout the trilogy. The Force Awakens is not all about old favorites, however. The new characters Rey, Finn, Poe and BB-8 are all incredibly interesting, and yet very little is revealed about them which makes me even more excited for what comes next. It seems clear that Rey will play a central role as the trilogy unfolds, but I’m curious to see how Finn will fit into the future of the Resistance. I really enjoyed watching his transformation from an uncertain Storm Trooper, to a self serving character who helps the Resistance only to achieve his personal goals (echoing Han Solo). 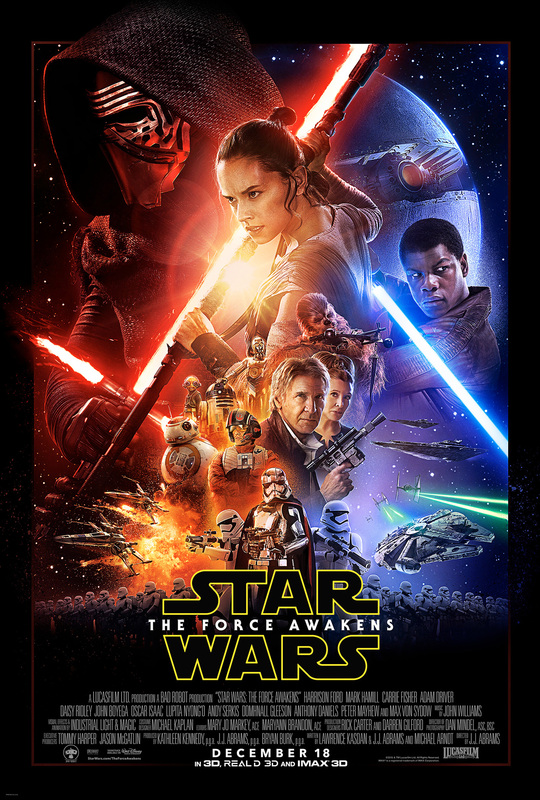 Overall the story and action of The Force Awakens is very much akin to that of the original trilogy. Everything looks and sounds like it did in the older films, and the story is so similar to that of A New Hope that some fans have come away from Episode VII mildly disappointed. It is undeniable that The Force Awakens plot points echoe A New Hope’s from beginning to end, however I feel like this both adds a sense of nostalgia and acts as a tribute to first film. Vox has a pretty good breakdown of the ways in which VII mirrors / copies I (with some MAJOR spoilers), but the similarities are probably already apparent to anyone who’s been a fan of the series. I enjoyed everything about The Force Awakens. In some ways it may be A New Hope with a fresh coat of paint, but it left this Star Wars fan with a huge smile on his face. I’ve needed a new pair of earbuds for awhile. The Samsung earbuds that came with my Galaxy S6 started acting strangely months ago. After about ten minutes of being plugged into my phone they would somehow cause my phone to do things on its own, such as adjust the volume all the way down and back up again over and over, or pause my music or even open apps. I’d often have to unplug and replug them in while running which was quite annoying. They also weren’t very comfortable and would always fall out of my ears. 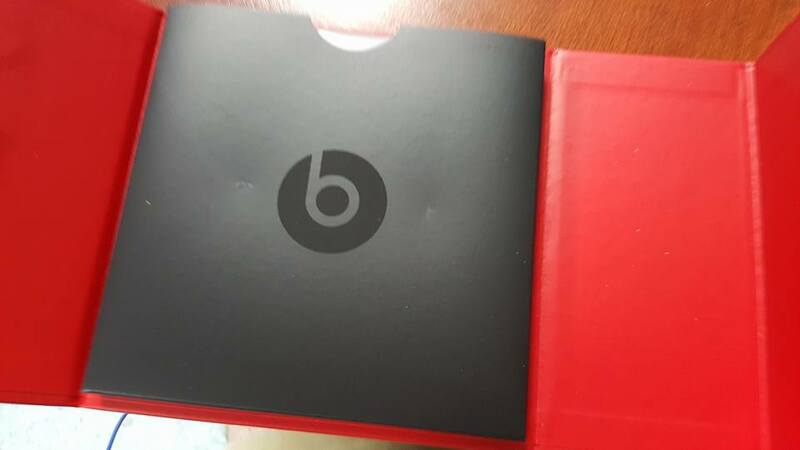 I was going to pick up a pair of Apple’s EarPods for $29 at the Bx here, however I started looking at the Beats by Dre urbeats, which were priced at $79. 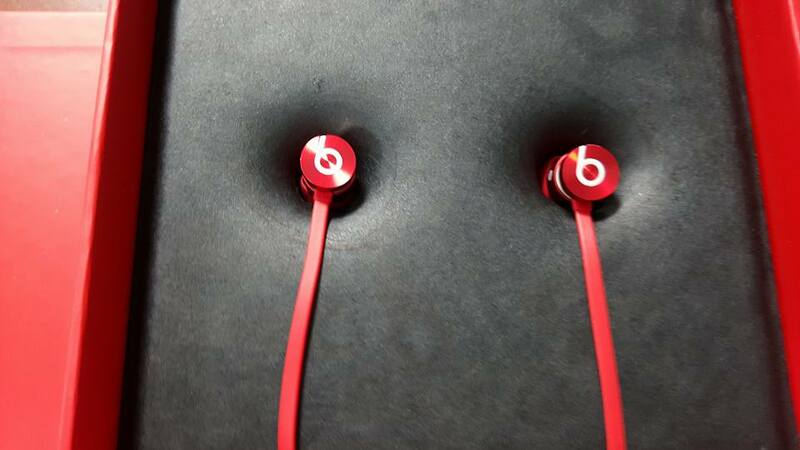 Beats headphones tend to have a mixed reputation. Most people who own a pair swear by them, but almost everyone else will tell you that they’re popular only because of their brand. Each position is probably true in some sense, and I’m glad I bought my Bose SoundTrue headphones over a pair of Beats last year, but I’ve never really been opposed to the brand like so many are. 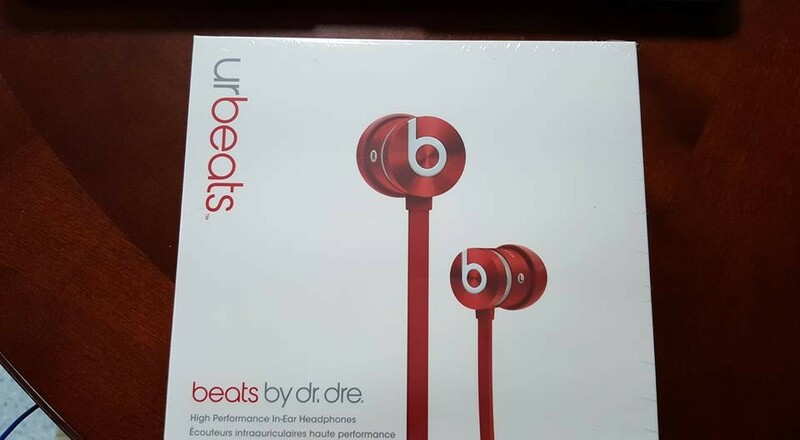 I figured the discounted price (down from $99) was enough to give the urbeats a shot. I’ve put them in a few minutes ago and so far I’m quite impressed. The packaging is wonderfully designed, which is always a plus. Opening the box was enjoyable, and everything was neatly positioned within. Once I selected the best fitting eartips and inserted the earbuds into my ear I found them to fit better than any earbuds I’ve ever owned. They do a great job of isolating outside noise and the sound is much richer than anything I’ve experienced from an earbud. They don’t have the same quality is my Bose SoundTrue headphones, but they seem to have more bass which should make running to a beat more enjoyable. I’m fairly certain they’ll filter out the sound of treadmill quite well, however I won’t know for sure until I put them to the test at the gym tomorrow morning. I can tell that they’ll stay in my ears better not only while running, but also while listening to music while falling asleep. Every night I’d have to struggle to keep my Samsung earbuds in my ears while lying down, but the urbeats should fix that issue. They not only fit well, but they’re extremely comfortable and it feels as if I don’t even have anything in my ears which is a plus. I’m certainly a fan so far and am glad I made the purchase. Last week I wrote about how against better judgement, I ended up purchasing Just Cause 3 on the Xbox One. It didn’t take long to discover that my instincts were right, and I should have delayed the purchases until the game had received a patch or two. My experience with Just Cause 3 so far has been everything but enjoyable. The horror stories about load times are true, and I haven’t even experienced the worst of it yet. The initial load seems excessively long, but if that’s not bad enough there are constant long pauses that disrupt the gameplay and make the game almost entirely unenjoyable. For example, once you gain control of Rico you might spend two or three minutes in the game world before the game cuts to a black screen and loads into a cut scene. After the scene you’ll see another black screen before you regain control of your character. Each time this happens the load is anywhere from 15 to 30 seconds long, an absolute eternity that takes you out of the world. It’s insane that the game has to stop and load as often as it does, especially when compared to the much smoother experience of games such as GTA V. The long loads between mission objectives and completions totally disrupt the flow of the game, and it feels like you’re playing a series of individual levels as opposed to a truly open world. If these loads weren’t bad enough, there are awkward long pauses in conversation during missions that seem as if the game is having trouble loading in the dialogue. A character will ask a question or make a statement and it can be as long as ten seconds before Rico will respond and another ten seconds before the next sentence is spoken. Just Cause 3’s load times might be bearable if the game actually worked correctly. Unfortunately, on the Xbox One it doesn’t. Explosions cause the game to lag uncontrollably for several seconds, again taking you out of the game experience. I’m only 45 minutes or so into the game and I’ve already experienced a game breaking glitch. I started the third mission of the game, ‘Mario’s Rebel Drops’, however the game will not let me complete the mission. I get the mission complete screen, however the game acts as if I’m still in the mission. There are no objectives on the screen, nothing on the map, and yet if I press pause I have the option to ‘quit mission.’ If I die I’m greeted with a ‘mission failed’, even though I’ve already gotten the ‘mission complete’ prompt. I quit the mission and started over and yet it still does the same thing. I can’t start any challenges because the game thinks I’m still on a mission, and there are no more missions available either. I can’t progress any further in the game without starting over, and I certainly don’t want to replay the incredibly terrible opening that’s made worse by excessive loading. Right now I’m stuck with a game I can’t play. Even if I could progress further into the story, it wouldn’t be enjoyable. I do not want to wait 30 seconds after completing a mission just to see a corny cut scene and wait another 30 seconds to get back into the world. That’s entirely unacceptable. If you haven’t purchased Just Cause 3 yet I have to insist you do not purchase it. It is unplayable. The last two years have been rocky for blockbuster video game releases. Just about every major title released throughout the year has had a rocky start. The trend of “broken” games slipping past QA testers and onto store shelves (or digital marketplaces) seemingly started with the releases of Assassin’s Creed Unity and Halo: The Master Chief Collection in November 2014. Both games were horrendously bug ridden, and in the case of Halo, partially unplayable. The Master Chief Collection’s multiplayer portion, arguably its biggest draw, barely worked at launch. It would take anywhere from 15 minutes to over an hour for players to be matched into a game, and even then things didn’t run smoothly. To make matters worse, 343 Industries was unable to make the game run smoothly until many months after its initial release. This angered consumers, as they were sold a product that obviously wasn’t ready to be released until much later. The PC version of this year’s Batman: Arkham Knight was so miserably broken that after a slew of negative reviews and refund requests it was removed from sale soon after its release in order to be “fixed”. How the game was approved for sale in the first place is remarkable, as it took several months after its initial release for it to be deemed worthy for sale again. It has become the new norm for developers to release games ‘on time’ only to require gamers to download bulky patches on release day. Halo 5, which released last month, required an additional 9GB download on its release day for gamers to be able to access the multiplayer portion of the game. Patches have gone from a legitimate means to fix issues with a game to an excuse to release shoddily crafted games in exchange for $60 from consumers with the promise to finish a games development by the time the game actually reaches store shelves. There are several problems with this. As apparent with the release of The Master Chief Collection, developers can seriously underestimate how long it will take to get a working version of a game to consumers. It can take days, weeks or months before you finally get exactly what you paid for. Imagine buying a car at a dealership for full price and only receiving the frame, with a vague promise that you’ll receive the engine and tires and an undetermined future time. Who in their right mind would do this? The requirement for a patch to complete a game especially punishes those without access to broadband internet. Many games are incredibly inferior without their day one patches. The Evil Within, for example, ran at a lower framerate and at a lower resolution without its day one patch, as Kotaku reported. Someone who bought the disc version of the game without internet access would be stuck playing a version of the game unfit for release. 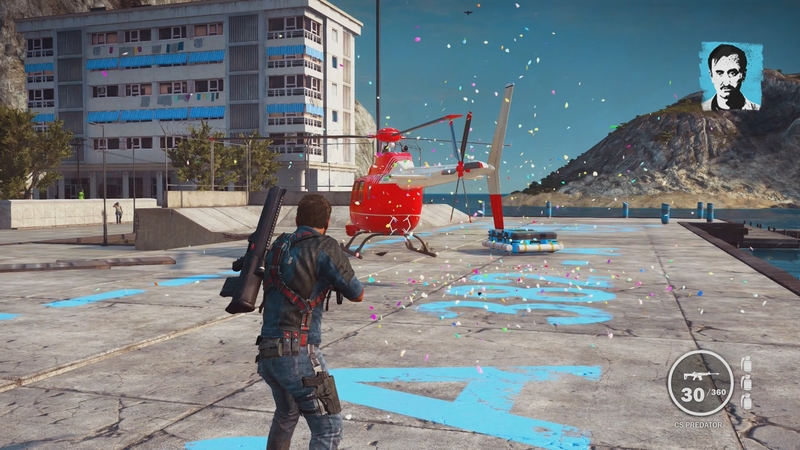 This week’s release of Just Cause 3 proves that developers are not going to change their ways anytime soon. The console version of the game is apparently plagued with issues causing the game to perform worse than one would expect of a AAA title. One of the draws of Just Cause is the ability to trigger extreme explosions during chaotic firefights, yet these trademark explosions are apparently causing extreme dips in framerate on the console versions of the games (as low as 20fps on the Xbox One according to VG247). Not only that, but gamers are reporting load times anywhere from two to five minutes, which in modern gaming is an eternity. Having to wait as long as five minutes to respawn after a death is not enjoyable, and gamers are rightfully expressing their annoyances on Reddit. The general consensus on how to express that gamers are fed up with sub-par releases is to speak with our wallets. Don’t pre-order games, and don’t buy them on day one. Gamers are often excited for new releases in their favorite franchise years prior to a game’s release, and we often can’t wait to get our hands on these games. Yet buying these unfinished products without even thinking just encourages developers to release games as soon as they can, whether it’s ready to be played or not. Their goal is to generate buzz and make as much money as quickly as possible. It isn’t until the buzz has died down that problems with the games start to become apparent, but by then the developers and publishers have made most of their money already. With all this in mind, I should know better than to purchase Just Cause 3 the week of its release, right? In theory…and yet, I still couldn’t resist. All of the videos I’ve seen of people playing the game made it look too fun to miss out on. I’ve read about all of the issues, and I kept telling myself not to part with $60 for a product that is going to underperform until it’s fixed at some point in the future. 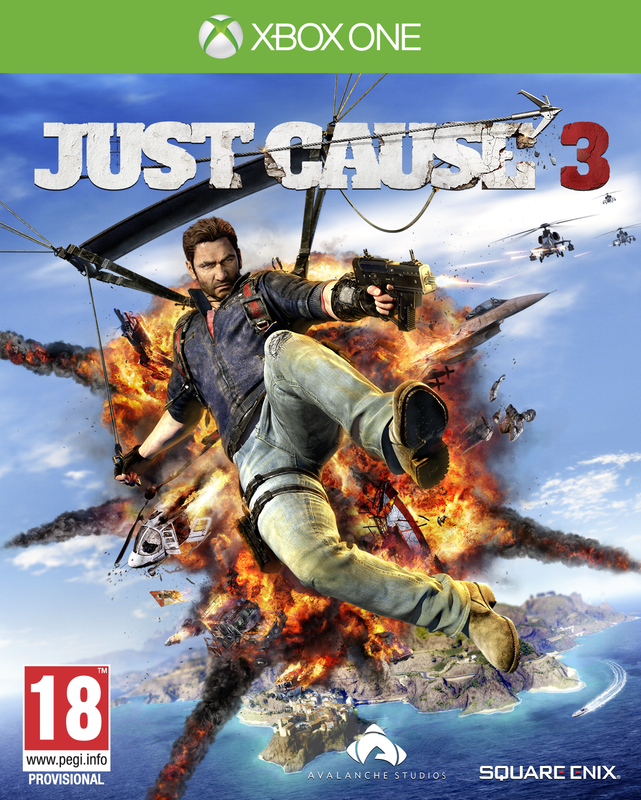 IGN gave the PC version of Just Cause 3 a respectable 8/10, while the console versions earned a bleak 5.9/10 due to the various performance issues. Very few games earn such low scores these days, especially AAA titles. Even the recent Mad Max game, generally considered well made but rather boring, earned an 8.4. I don’t often base purchasing decisions on review scores, but for such a highly buzzed about AAA game to be rated so poorly says that the performance issues are significant. All intuition and research were telling me not to buy Just Cause 3, not yet at least. Just Cause 2 is backward compatible on the Xbox One, I should just play that until Just Cause 3 is fixed. In the end, I ended up purchasing Just Cause 3 last night. I’m a part of the problem. I can’t help it. I’m sorry! Maybe I’ll be able to enjoy the game, despite the performance issues. We’ll see. Worst case scenario I’ll just play more Fallout and dabble with Just Cause 2 (I never played it) until some more patches release. It’ll be fixed, I’m sure. I hope.